The Department of State Services (DSS) has partially restored the security detail of Senate President Bukola Saraki. The withdrawn DSS operatives guarding Saraki were returned on Tuesday, hours after Vice President Yemi Osinbajo, Attorney General of the Federation and Minister of Justice, Abubakar Malami (SAN), and Director General of DSS, Lawal Daura, held a meeting with Inspector General of Police, Ibrahim Idris. 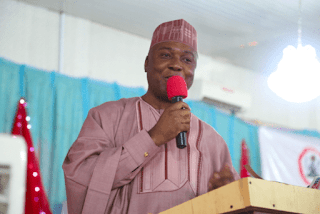 According to Premium Times, more than 12 DSS operatives guarding Saraki were said to have been withdrawn on Saturday but five of them were restored on Tuesday. Details of the development remain sketchy, as it was not immediately clear if DSS security detail of other principal officers of the National Assembly withdrawn had been restored.